What a special date in history, I am feeling the moment. 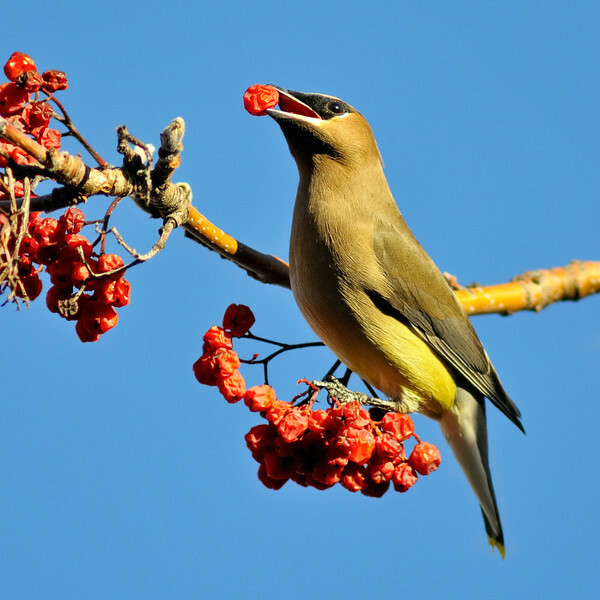 Image Notes: After being missing in action all winter, the waxwings arrived in style this week. I wonder if they are later than the past few years due to the mild winter, or maybe it could be the berries were not ready until now? In any case, it's a drunken berry fest out there now!